New York – No man is an archipelago! The opera tomorrow starts at Noon and runs for five-and-a-half hours, which means that I have to spend both Friday night and Saturday night in New York: There just aren’t any trains that would allow me to come up in the morning before the show or to leave and go home after the show. 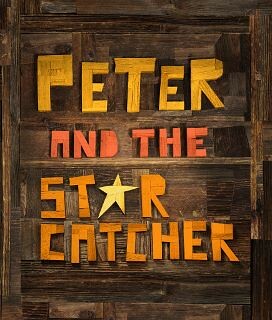 Peter and the Starcatcher was at the top of my list of Shows I Want To See. It won a bunch of Tonys, got great critical reviews, and is scheduled to close later this month, and I was afraid that I wouldn’t be able to see it. But I managed to snag a ticket for tonight’s performance (with arguably one of the best seats in the house) and had the time of my life. 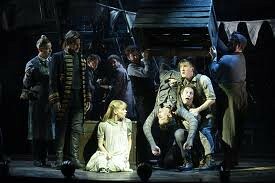 The writing was enormously clever and funny, ranging seamlessly from the juvenile (flatulence!) to the sophisticated (Proust! ), and the actors pulled it all off very well. Captain Hook (here called Captain “Black Stache”) was an outrageous show-stealer who managed to make the three words “Oh my gosh” feel like a complete song and dance number (I won’t say more for fear of spoilers — the show goes on tour soon!). Also, there’s an incredibly funny funny mermaid kick line. For all the fun and games, there was also some surprising emotional depth, as well. The dueling concepts of wanting to be alone but have a family, to be a leader and grown-up without becoming the sort of adult who lets you down, to be strong without being cold, to be the best but liking the company of people who are better, to be yourself but also to change — all those things were there enough to move you and make you think in the downtime between the chuckles.